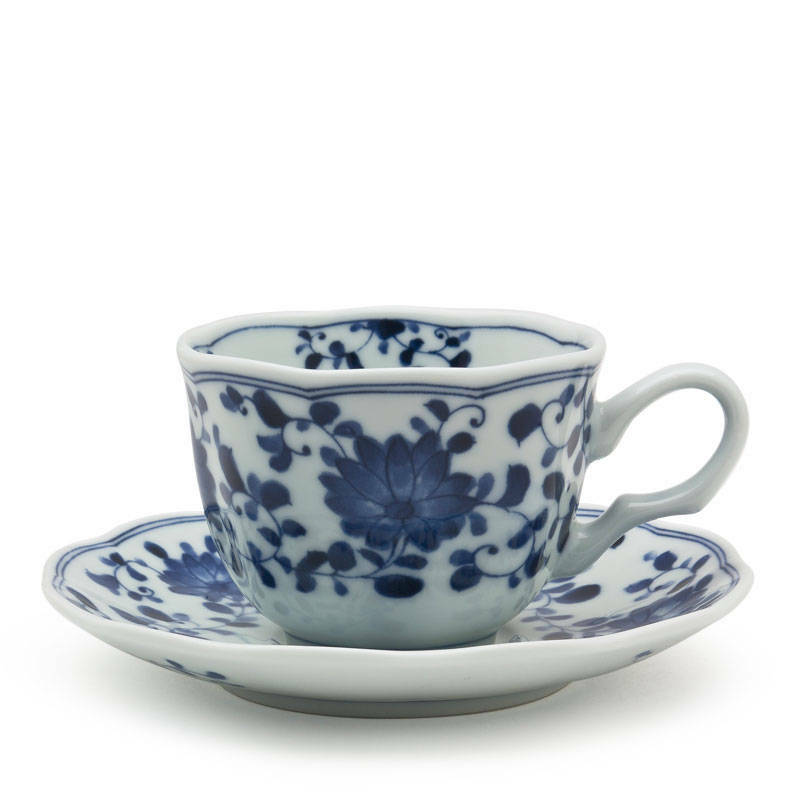 Blue & white mug with saucer. Because Blue & White is the new neutral. 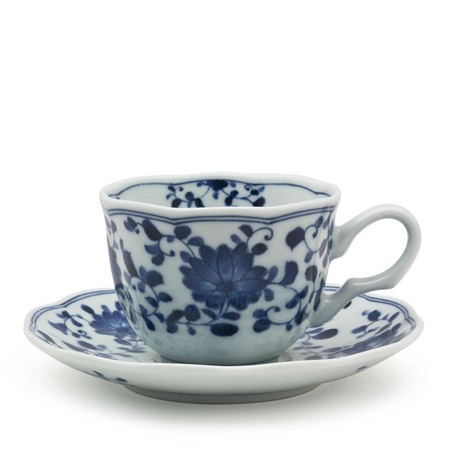 Plus, this is perfect for tea parties with or without a shot of rum. 4.75" x 3.5" x 2.75"h; 7 oz. capacity.